Finally, we couldn't wait any longer and Dream League Soccer 2019 App for Android, official Apk is now available for Android by the original creators. Dls 19 Apk has been updated with the latest transfers, player faces and new skills included like rabona. Dls 19 App for Android also features the latest team kits, i.e for some teams they have licence for and it also comes with the latest team squad, coaches and formations. The new Dls 2019 Apk features Gareth Bale from Real Madrid in the front image with the newly designed Dream League Soccer 2019 Text. I checked the new trailer and found out that the buttons have been made easier, they are bigger, more transparent and easily clickable. You can still set it up the way you like when you download the game. Dls 2019 Apk Game GUI hasn't been improved that much, it is still a bit similar to Dls 2018 App but one noticeable improvement is the players body movement. Dream League Soccer is still yet to include team selection mode and exhibition match just like the FTS Series they stopped, if they should include those features in Dls 2019, it could have been the best Android soccer game, but the fact remains the same, that feature might never be included due to the game's name 'Dream League'. 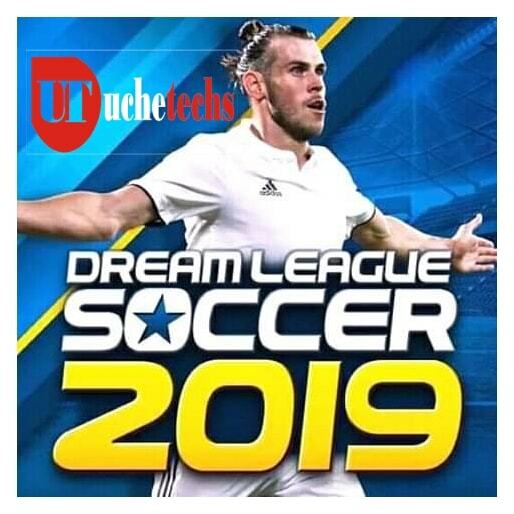 Nevertheless, we are still happy that Dls 19 Apk is an offline game just like all Dream League versions have been, it is also free and it includes worldwide multiplayer mode both Online and Local Bluetooth multiplayer. The cons of the multiplayer is the server's connectivity, it isn't very fast playing multiplayer expect you and your opponent are connected to a strong Wifi network, we hope that improves in this DLS 19 App Game. I guess enough have been said concerning the game, below contains the important factors of the game like Features, download links, requirements and DLS 19 Files like OBB & Data. 1. 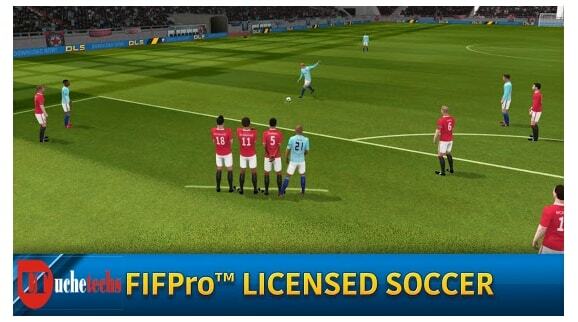 FIFPro™ licensed players brings the most authentic Dream League Soccer experience to your hands! 2. Freedom to create, customize and control your very own Dream Team! 3. 6 Divisions to work your way through, and over 7 Cup competitions! 4. Take part in regular live events to win prizes and glory! 5. 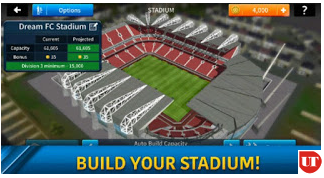 Build your very own stadium to showcase your superstars! 7. Season objectives to keep you engaged and coming back! 8. Google Play achievements & leaderboards to see who ranks on top! 9. Customise and import your very own kits & logos! 10. Sync progress between devices with Google Play Cloud! 11. Exclusive soundtrack provided by The Luka State, Sunset Sons, Beth Thornton, Jack Wins, Vistas & Only The Poets! Note: DLS 19 Apk game is free to play, but additional content and in-game items may be purchased for real money. NEW Team Data - all your favorite players are here for you to sign and develop! The Apk will be installed, the Obb and Data file will be set for you. Dream League Soccer 2019 Android Apk latest updates are really nice, it can be enjoyed on your Android device. The official download link from Google play store is what i linked to and this makes it very easy for you to just download and install the game without any Obb or Data File. I hope you enjoyed this game review, share with friends and don't forget to bookmark this page for more updates. Thanks for visiting!